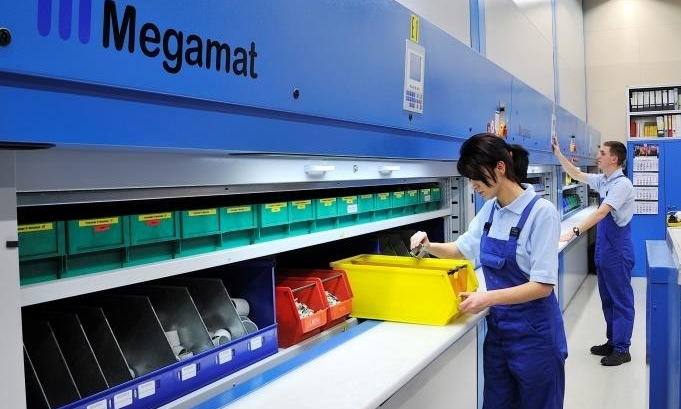 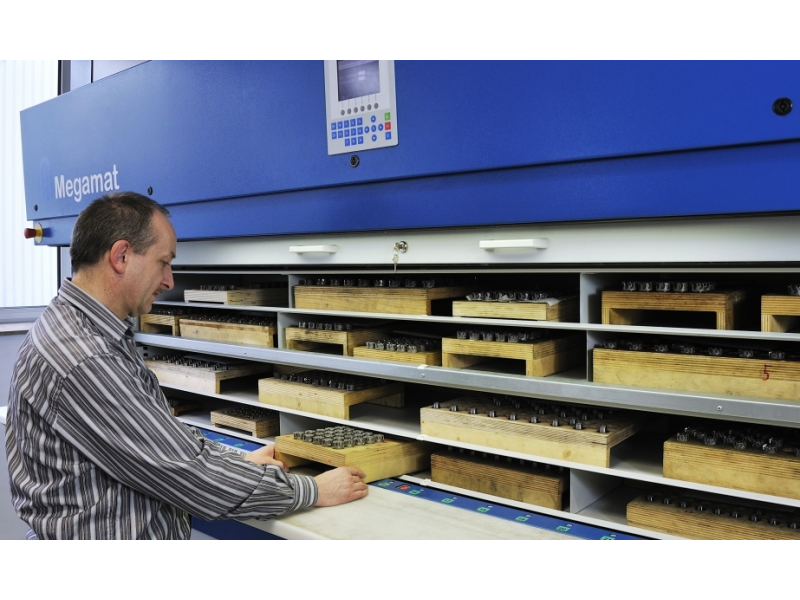 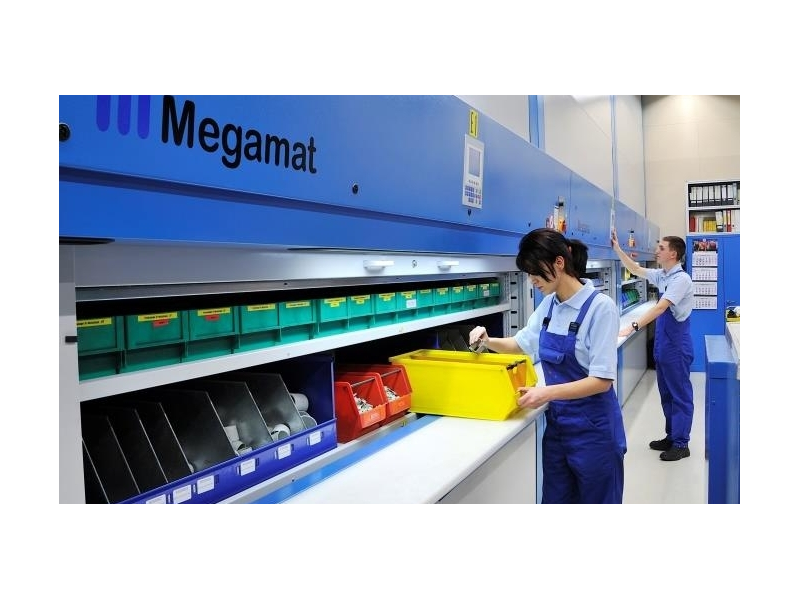 The Kardex Megamat RS is an vertical storage carousel that delivers the shelves to an operator at an ergonomic work counter. 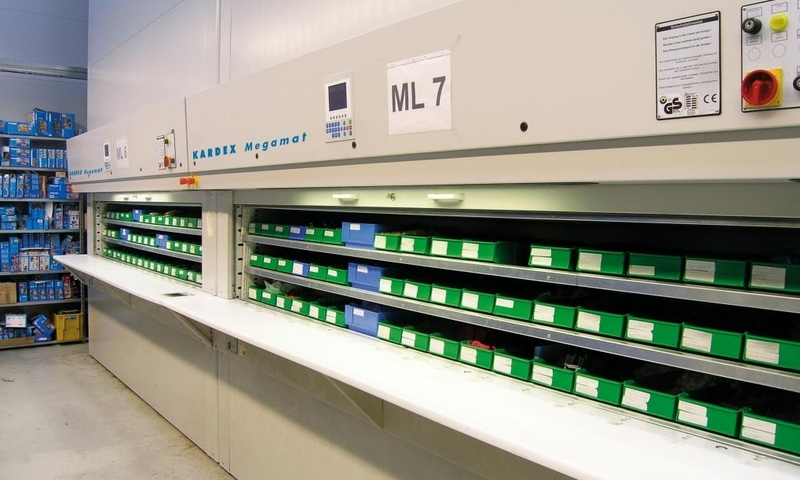 It is one of the original automatic warehouse devices and was introduced in 1957. 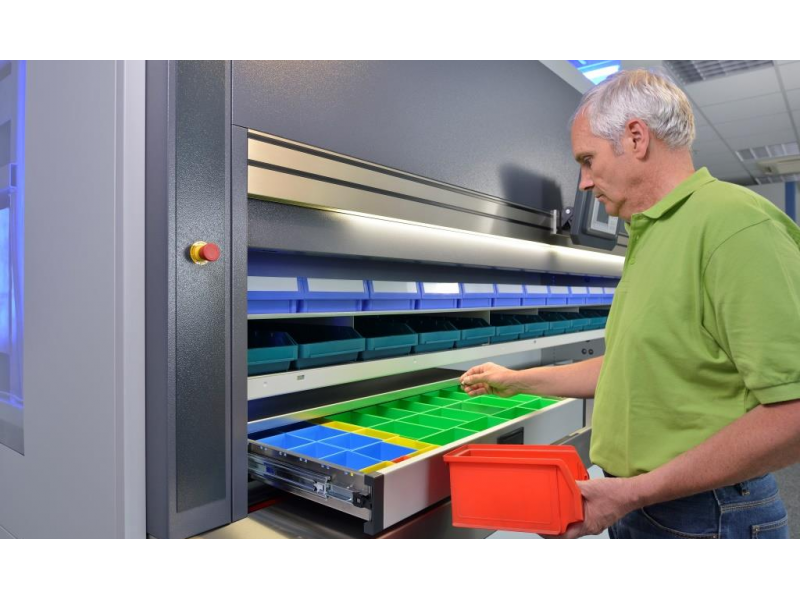 Its a highly space efficient storage device which increases productivity. 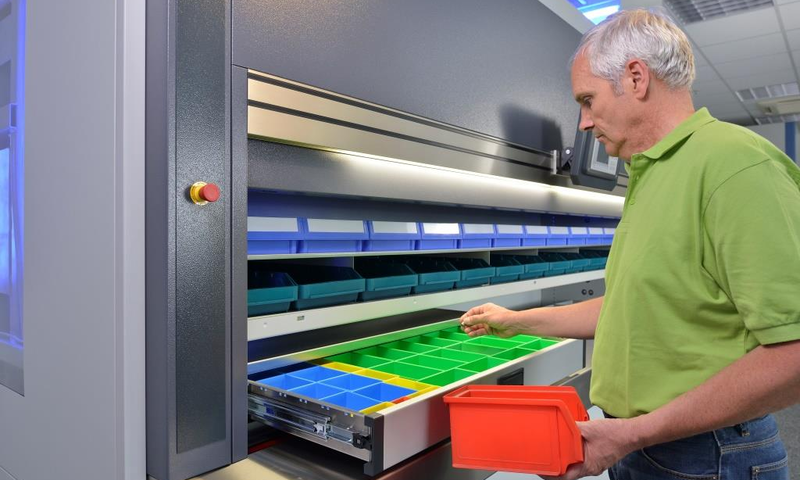 The carousel design works very well with storing bins , totes , boxes or cartons. 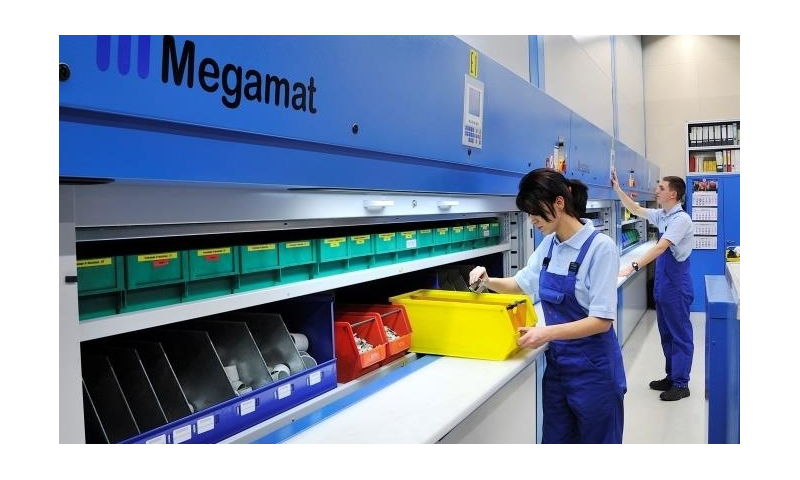 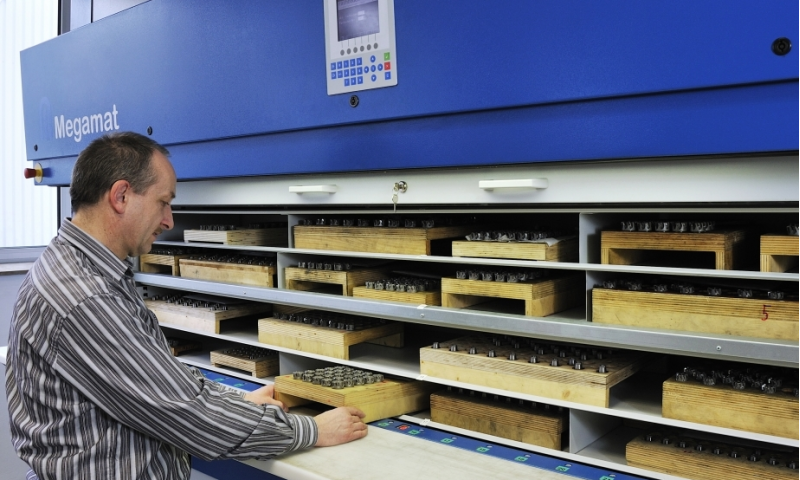 Used widely spare parts stores, tooling rooms and document storage. 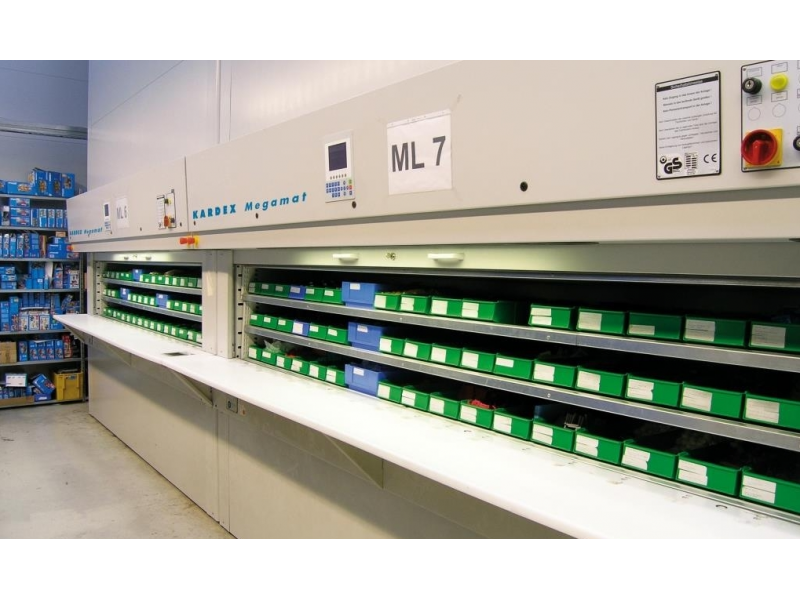 Kardex offer this solution for use in clean rooms, within Pharmaceutical, Medical Device and Electronic industry.